Hailing from Birmingham, Alabama, Isaiah is a recent transplant to Cheyenne. He moved to Cheyenne after receiving his Bachelors in Horticulture from Auburn University and after interning with the Cheyenne Botanic Garden. His education with Auburn included studying at Pershore College in Pershore, England where he fell in love with personal display gardens. 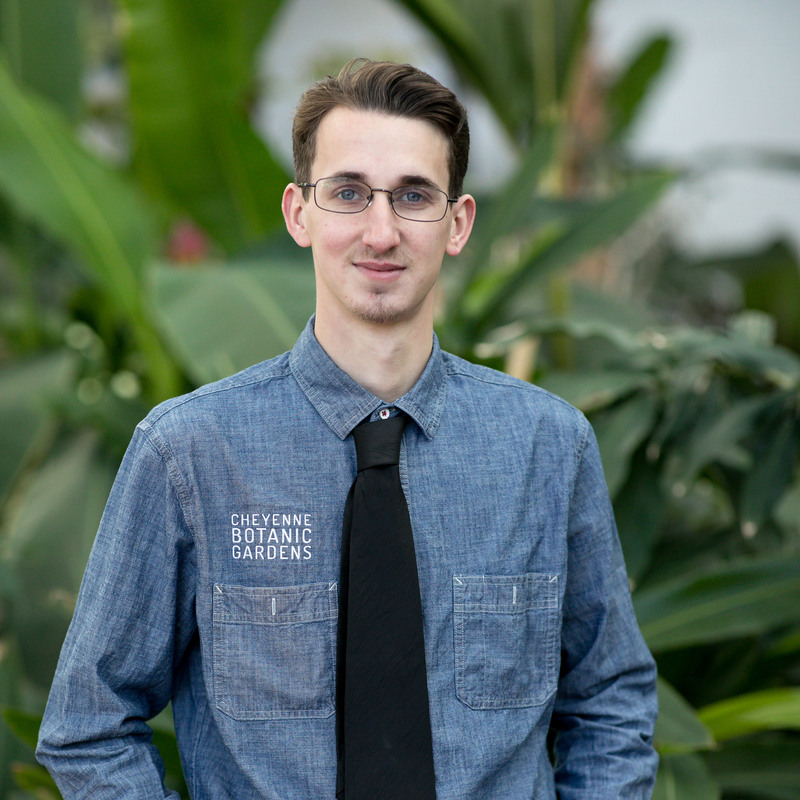 His passion for all plants led him back to Cheyenne and the Botanic Gardens where he is now the Interior Horticulturist, overseeing the Grand Conservatory plant collection and greenhouse spaces and assisting with any and everything to promote plants in and around Cheyenne. After volunteering on tree planting days with Rooted in Cheyenne, Isaiah wanted to do more with the program which led him to becoming a board member. He feels Cheyenne’s tree planting history and scope is what helps set the city apart from other Wyoming and Front Range locales. Isaiah believes that trees are one of the easiest ways a community member can impact their surroundings and wants to educate others on the best ways to do so. 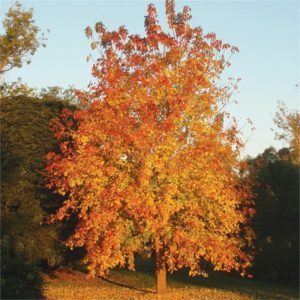 One of Isaiah’s favorite trees for Cheyenne is the Sensation Maple (Acer negundo ‘Sensation’) because of it’s wonderful shade ability, striking fall color, and that it does not attract box elder bugs like other Acer negundo varieties. Since being in Wyoming, Isaiah has fallen in love with the landscapes and people that call Wyoming home. His chief interests are hiking and fishing, cooking, and enjoying Cheyenne summers.